Carrying excess body weight has catastrophic effects on your physical and mental health, and can steadily erode your self-esteem. It’s unsurprising, then, that so many Australians resolve to lose weight as part of their New Year’s resolutions. New Year’s resolutions are common—so common, in fact, that 80% of people don’t stick to their resolutions. 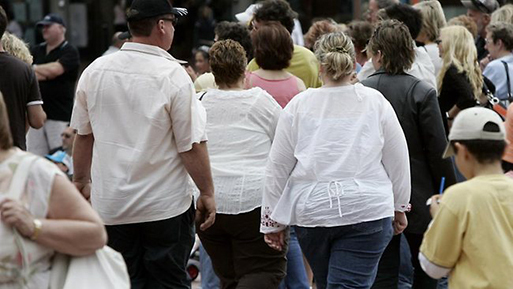 Sixty-three percent of Australian adults are overweight or obese, and those figures continue to rise. Weight loss is never easy, especially given that health and hormonal issues often play a role in weight issues. If you want to stick to your guns this year, here are five keys to losing weight and keeping it off. Most people think that losing weight is about changing your exercise routine or what you eat. But the truth is that people don’t pack on the pounds for no reason. Underlying almost every weight issue is a disordered relationship with food. Some people are addicted to specific foods, such as sugar. Others use food as a source of comfort, or to fill an emotional void. And some rely on food to cope with the boredom of a stagnant life. Before you can expect to lose weight, you must change your relationship with food. Spend some time thinking about why you make the food choices you do. To persist with something that has health consequences as catastrophic as overeating does, you must be getting some kind of reward. Once you figure out what that is, you’ll be better suited to begin shedding weight. Counselling can prove invaluable in this process, so if you’re not sure what the problem is, or have tried and failed to fix it, consider coming into Three Seas for a session. If you resolve simply to “lose weight,” you’ve already failed. To keep a resolution, you first have to know what it is! Equally important is knowing how long it will take to achieve it, so that you’re not disappointed when the results are not immediate. Most people can lose about a pound per week, but may lose a bit more when they first start, due to loss of water weight. Talk to a doctor about what you can realistically expect, then set specific and clear goals so that you can begin tracking your progress. Let’s face it: losing weight is tough. It’s not something you can do overnight, and the pressure to overeat and abandon your workout plan is everywhere. The support of people you trust can work wonders. Consider recruiting a friend to be your accountability partner, or join a local weight-loss group. Your therapist, too, can be an invaluable ally in the battle of the bulge. Amorphous promises to get healthy or be more attractive won’t do much to inspire you when the going gets tough. You need to sit down and seriously think about why you want to lose weight. Do you want to live longer? Get pregnant? Be there at your child’s graduation? Take up a sport you abandoned long ago? Write each reason on a card, then review your motivators when you get overwhelmed. Keeping your eye on your ultimate goal helps you ignore that delicious plate of food your lunch companion is gorging himself on. Sure, the ultimate reward is a better health and a body you adore, but that’s months—and perhaps even years—down the road. You need smaller rewards to keep you going. Try setting up a weekly commitment to yourself, such as a massage or outing with friends. Then, when you hit major milestones, reward yourself with something more significant. Whatever you do, though, steer clear of food-based rewards, since those only undermine your progress and nurture a dysfunctional relationship to food.